3. Select the Identified Phase, enter a brief description in the header field and fill in the detailed description, select the appropriate attributes and set the assignment. Self Assign will assign to the current user id. 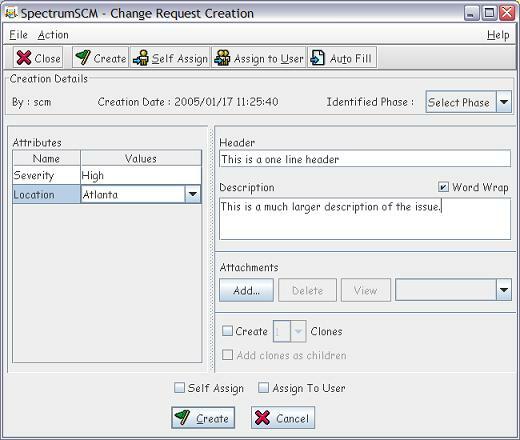 If no assignment options are chosen the CR will be created and left for the Generic Engineer or Administrator to assign at a later time. Click on the Create button. You can also elect to add attachments to the CR before you press the Create button. Any type of file can be added as a CR attachment. Use the View and Delete buttons to view the attachment and to delete the attachment from the repository. The Auto Fill feature can be used to import information from an already existent CR. 4. 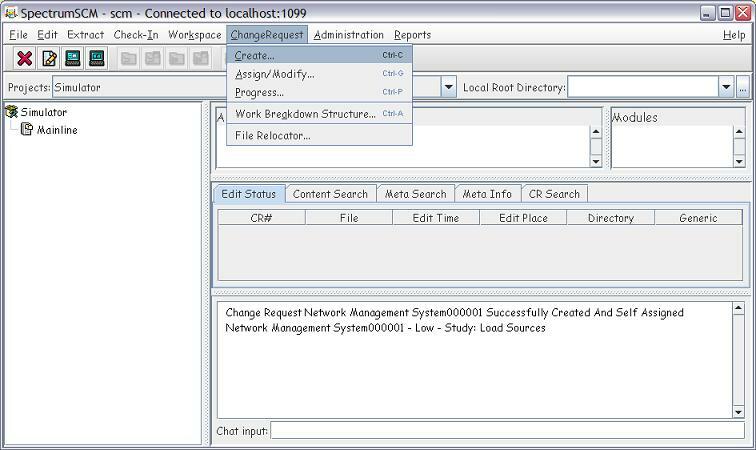 You can specify the phase that you want this CR to be assigned into and the generic for the work to be performed under. 5. You will be notified that the Change Request was added correctly and the number for this CR will be displayed.